Previously I made a couple of Baseball Sabermetrics videos and it was a lot of fun. In this Sabermetrics tutorial I’ll cover a few of the Sabermetrics formulas I missed. 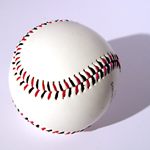 One question I received from a few of you was which team uses Sabermetrics most effectively. You’ll find that answer in the first query below named TTRC for Teams. I also show how to perform many Sabermetric Pitching formulas below. All of the formulas below are ready for you to copy and paste directly into MySQL. I hope you liked this 4 part Sabermetrics tutorial. It was a lot of fun for me to make. i want to know details about css reset, i read some article but its not clear to me yet. Please suggest me about this issue. All css reset does is try to make components look the same in every browser. It does a pretty good job of eliminating cross browser problems as well. Thanks for the idea. I’ll see what I can do with it. You are always helpful to me though i cant do anything for u, but i like u and sent u an email including some avatar 🙂 i think those are cute.